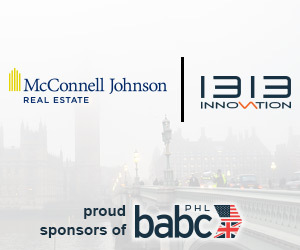 Each year the BABC brings together global business leaders to promote dialogue between the United States and United Kingdom. This year Chicago hosted the annual meeting. The two-day Conference explored the 2017 theme “Navigating the New World,” focusing on evolving opportunities as the United States, Canada, and Europe absorb changes in the realities of economies, trade, borders, and governance. The program opened at Shedd Aquarium on Wednesday evening, May 10. Lawrence Geller, CBE and Chairman of the 2017 Transatlantic Conference introduced speakers: Robert Winslow, Chairman, CBRE; Stephen Bridges, LVO, British Consul General; and Brad Keywell, Co-Founder Groupon, Uptake Technologies, Echo Global Logistics, MediaOcean, and Lightbank, to name just some of his ventures. These dynamic speakers set the tone for the conference and paved the way for more than 40 presenters who engaged conference attendees in meaningful dialogue throughout the day on Thursday, May 11. Sessions began very early on Thursday, and were planned down to the minute. Speakers presented in the Cathedral Room of the University Club – a remarkable building. Leading global multinational executives spoke about: healthcare; energy; UK/US consumer trends; global talent mobility; big data; fintech; financial markets; and the dynamics of enterprises and startups. Penny Prizker, Chairman, PSP Capital Partners and the 38th US Secretary of Commerce was the keynote speaker. The day concluded with a closing reception and dinner at the legendary Art Institute of Chicago, in the Terzo Piano Modern Wing. The Lyric Opera received the 2017 British Consul General Award and JB Pritzker, Chairman of the Pritzker Group was the keynote speaker. PJ O’Rourke provided entertainment, and comic relief. The 2017 Transatlantic Conference was flawless. It was meticulously planned and organized. Attendees enjoyed the educational panels and speakers, and networking with senior business, government and academic participants from across many industries and regions. We offer special thanks and congratulations to the Chicago BABC Chapter for hosting.